Pamplin Media Group - A new 'focal point' for the waterfront? A new 'focal point' for the waterfront? 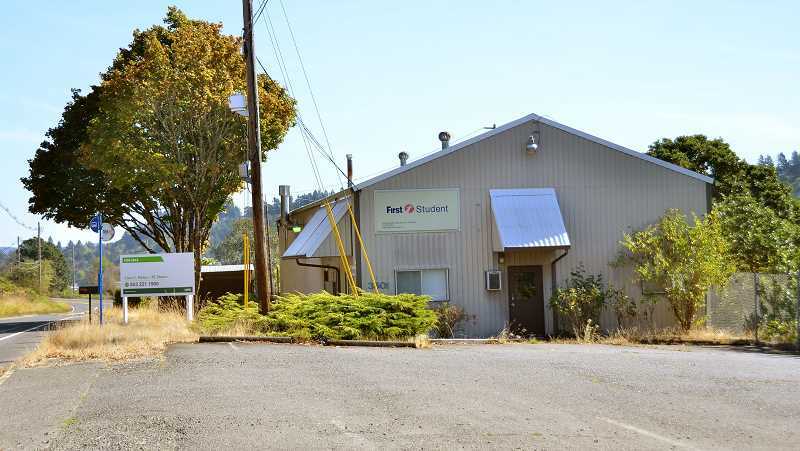 At first glance, the property doesn't seem like much: a bizarrely-shaped parcel along Willamette Falls Drive featuring a 2,750 square foot building and just under an acre of fenced-in gravel yard space. But beauty is in the eye of the beholder, and when Willamette Neighborhood Association President Andrew Mallory looks at the property — which is located at 3501 Willamette Falls Drive and until recently served as a school bus barn for First Student, the company contracted to provide transportation to the West Linn-Wilsonville School District — he sees the potential for something "spectacular" that would go hand-in-hand with West Linn's ongoing work to redevelop the waterfront. "The location, I believe, is absolutely paramount," Mallory said. "What we'd like to see is something like a 5-star restaurant with views over the falls. It would be spectacular and would give (the City) a really nice focal point before we start on major (waterfront) projects. "But obviously, it would have to be purchased." And therein lies the problem: the City doesn't own the land, which is currently zoned for industrial use, and deems the land's $850,000 price tag outside of its price range. "We don't have that scale of money, so no one's talking about purchasing it, that's for sure," West Linn Community Development Director John Williams said. The City has received a number of inquiries on the property — which is owned by First Student — and hosted several pre-application meetings, according to Williams, but no formal applications had been submitted as of mid-September. Williams, who was also present at a recent Willamette Neighborhood Association meeting during which the future of the property was discussed, can see where the appeal lies. "It's an interesting site because it's in the waterfront area," Williams said. "It's off on its own in a really interesting way, and has views toward the river which are really cool." Some residents suggested to Williams that the City consider changing the property's zoning although he said that is also unlikely. "That's challenging for a number of reasons, so right now we're not looking at it," he said. "Technically the City has control over zoning, but realistically and politically you can't just take someone's rights away." The best approach, Williams said, would be for the City to work with a new property owner to consider such changes. And Mallory agreed that, if the City could not buy the property outright, a public-private approach could work well. "It's one of our prime pieces of real estate in the city because of the location, so it would be very disappointing to see it in some industrial-commercial use," Mallory said. "Maybe a joint venture between the private sector and the City of some kind could be looked at." Thus far, according to Williams, the inquiries on the property have been from small distribution and commercial use. "Picture like a landscaper who stores their stuff there," Williams said. "Classic light industrial use." Mallory said the neighborhood association hadn't yet taken a formal stance on the property, instead limiting itself to informal discussions. But many residents will keep their eye on the land. "As the clock rolls forward, that land will be more and more important," Mallory said, "prior to the waterfront (project) breaking ground at some point."